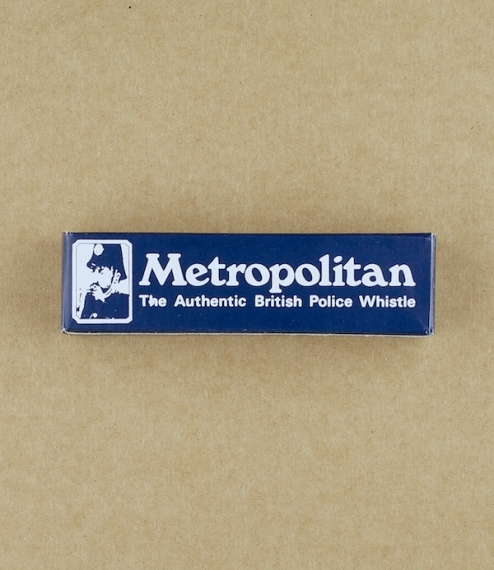 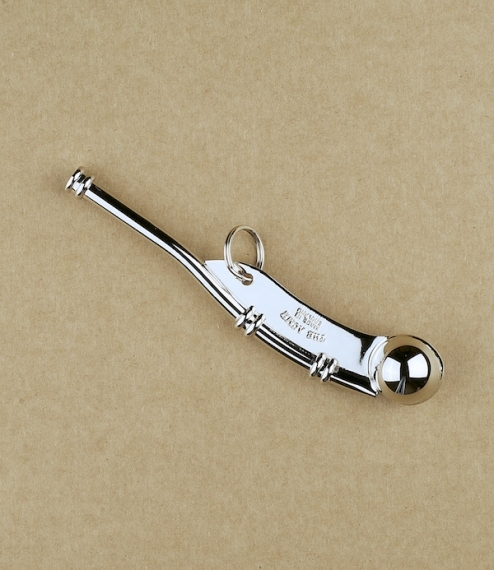 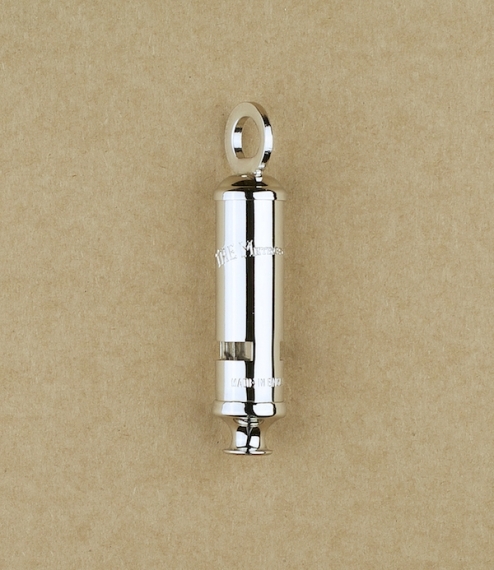 The authentic British police whistle, introduced in 1883 as a replacement to the unsurprisingly ineffective police rattles. 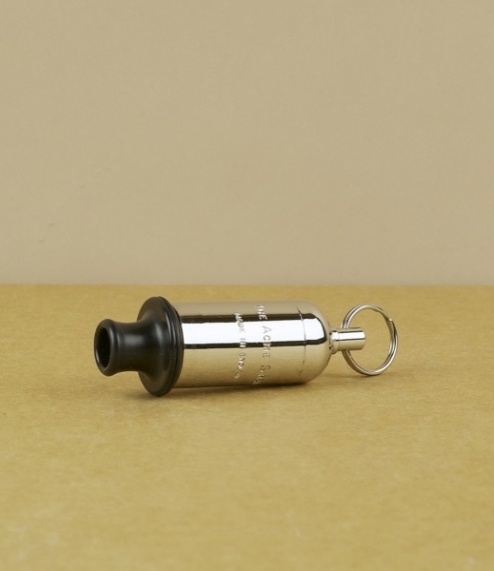 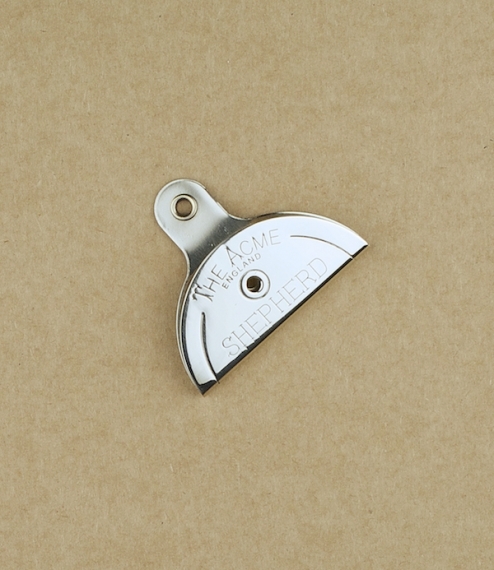 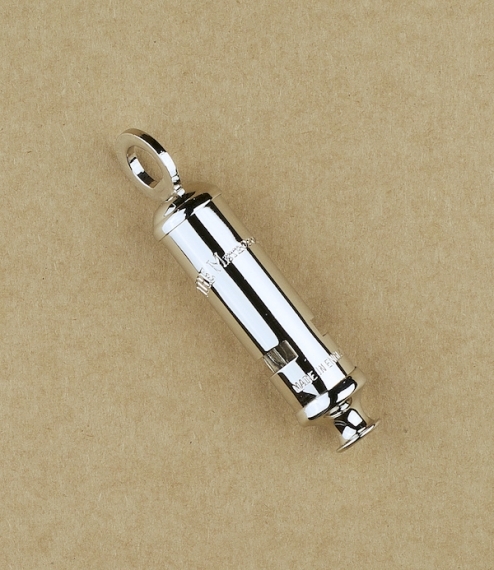 The discordant 2 tone sound of the whistle can be heard up to 2 miles distant, and the mouth piece is shaped such that the whistle can be held between the teeth, leaving the hands free to administer justice and the like. 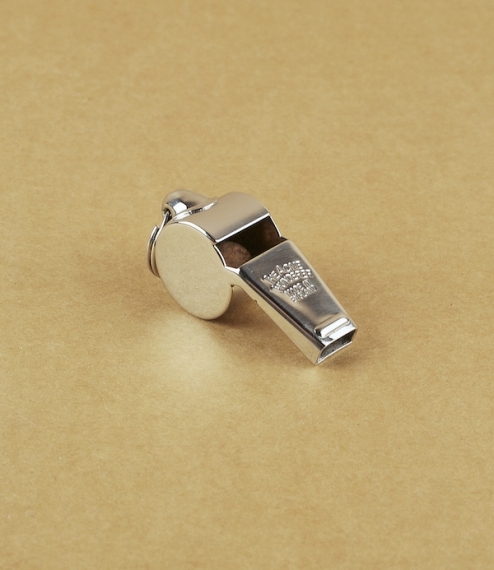 So successful was the whistle in its day that it was adopted by over 120 national police forces, seeing use all over the world, and to date over 45 million have been produced mainly at the Barr Street factory in Birmingham.